We put this versatile homage to the classic British bus compressor through its paces. I've reviewed several of Polish company IGS Audio's products over the last few years, and I've always found their products to strike a superb balance of quality and price — good 'bang for your buck', if you will. They're prolific too — whenever I return to their website, I'm impressed with just how many new hardware products they seem to have: they now seem to offer everything from mic preamps, EQs, and compressors to spring reverbs; there are options for those of us who record and mix, and others for the more rarified world of mastering; and there's plenty of choice in both the 19-inch rackmount and the modular 500-series formats. 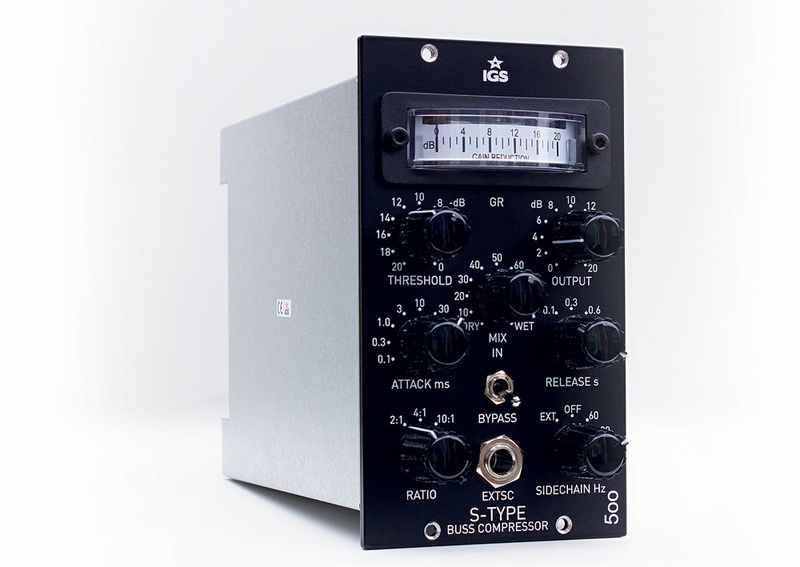 Most recently, IGS invited me to evaluate their S-Type 500 VU, a 500-series stereo VCA bus compressor that's obviously inspired by the compressor built into a very well-known British large-format mixing console. As you'd expect for a stereo 500-series device, the S-Type 500 VU is a 'double‑wide' module, and as with all the IGS products I've looked at to date, the build quality is faultless. The unit slipped effortlessly into my 500 series rack — this is perhaps not surprising, given that I'm the happy owner of the same company's Panzer 500-series chassis and power supply. (This, incidentally, really earns its name, as both the chassis and the beefy external PSU are built like tanks. It also solved a number of power issues I was having with another company's 500-series rack, so if you're in the market for such a thing, I'm happy to recommend this).